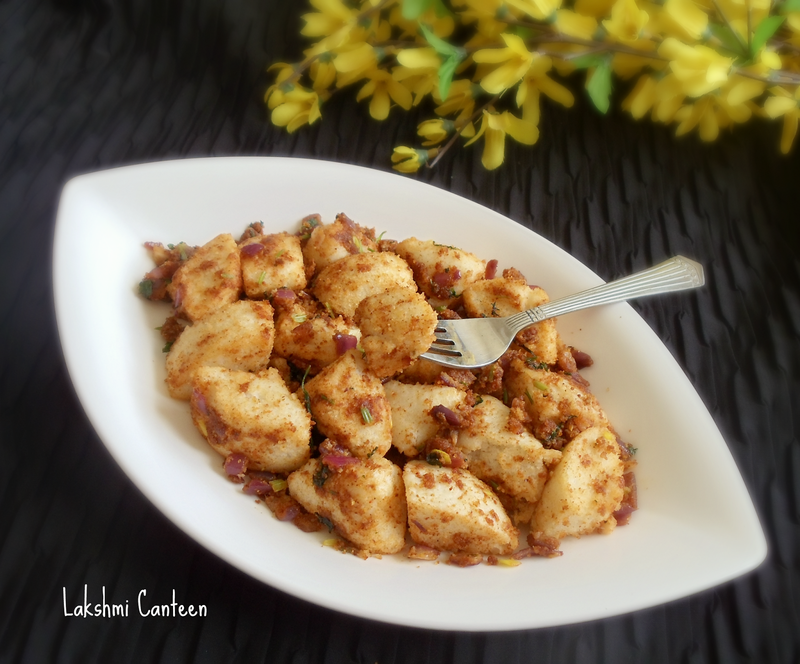 Idli Tawa Fry is a quick snack. 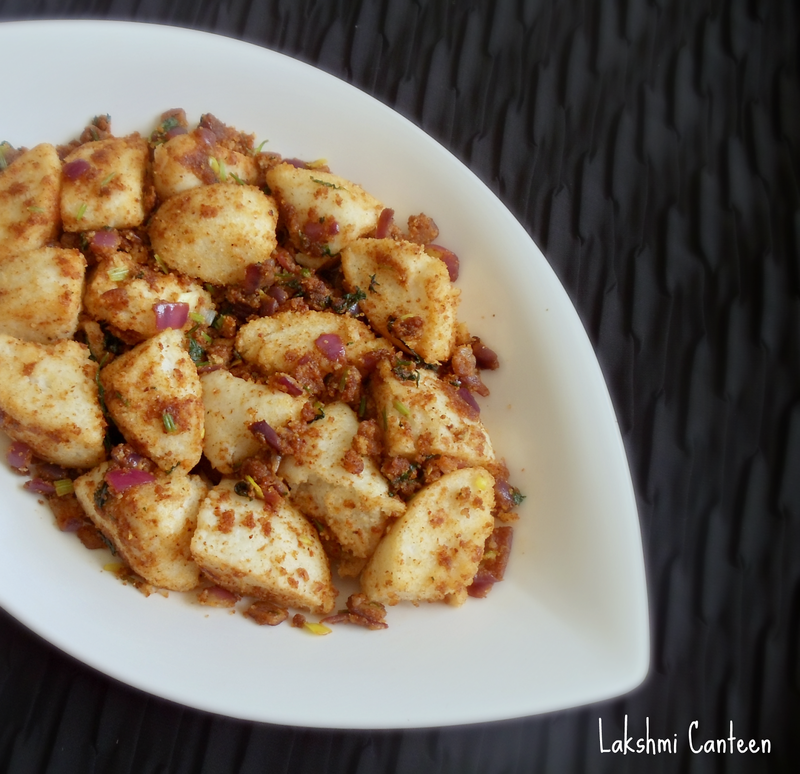 It is one of the best recipe to convert left over boring idlis into colorful, tasty ones. This recipe is inspired from Vahrehvah. 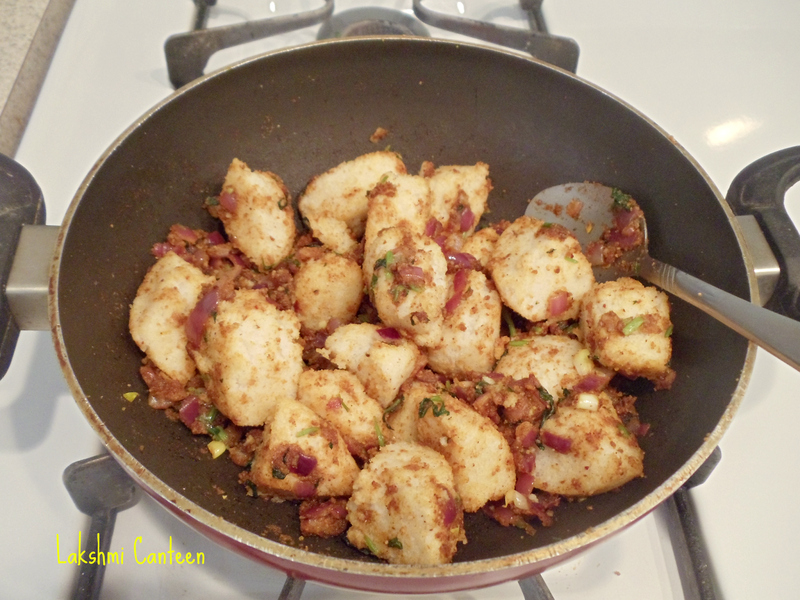 I made few variations to the original recipe and the outcome was very good. This makes a good 'after school snack' for kids. Do try it and enjoy! *You can use any chutney powder. The original recipe called for gun powder (or Idli podi). Chop onion and cilantro. Chop the idli roughly. Now heat a pan and add butter. 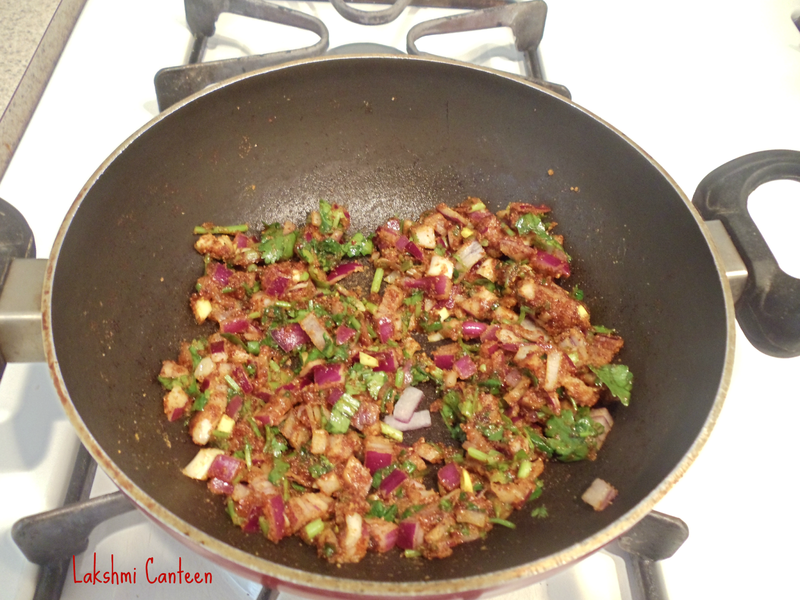 Once it melts, add flaxseed chutney powder, chopped onion and cilantro. Mix well and let it fry for 2-3 minutes on low flame. 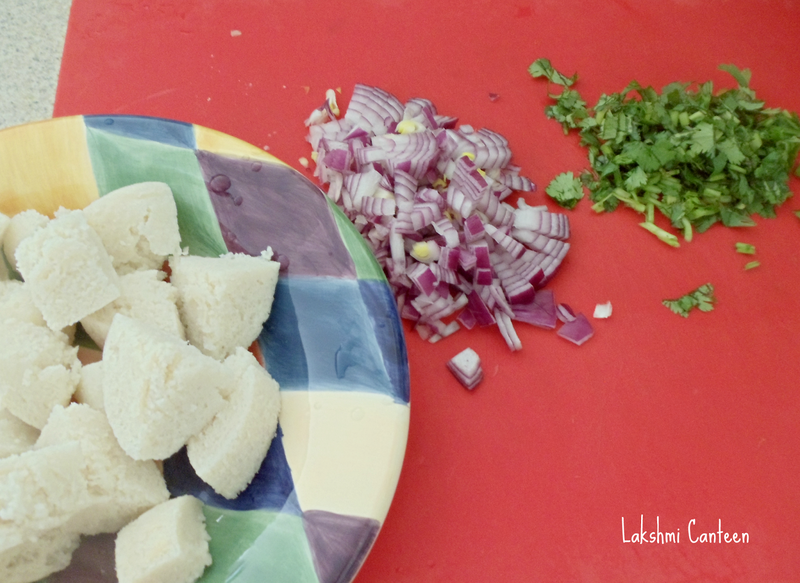 Then finally add the chopped idli. 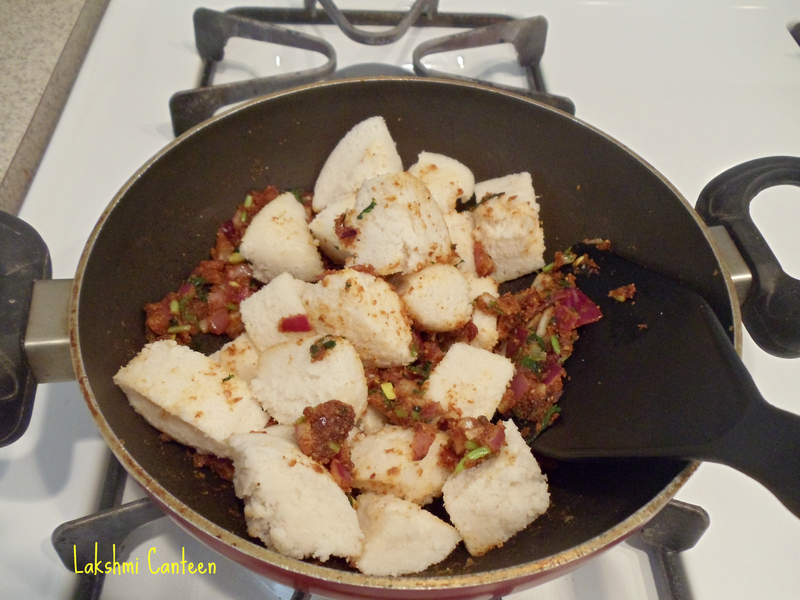 Mix gently until all the idli pieces gets a good coating and is heated through well. Then turn off the heat. 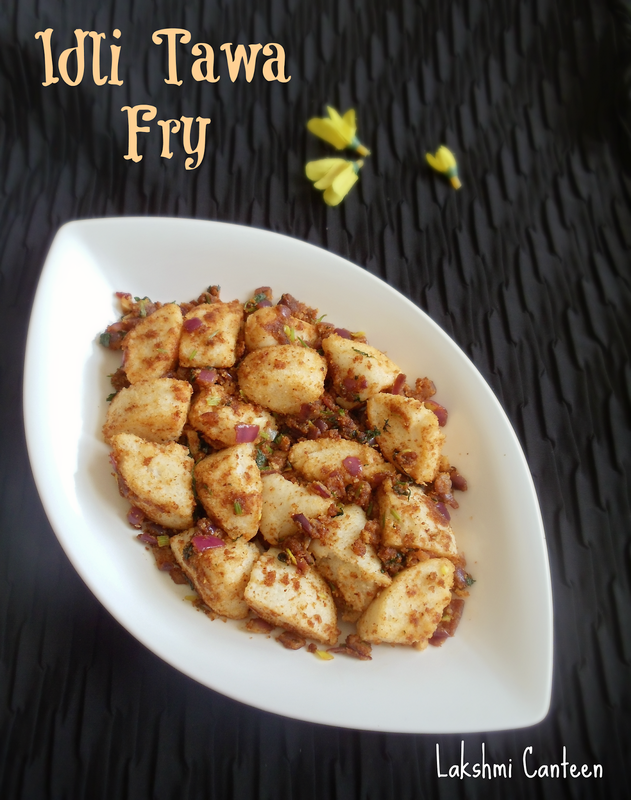 Idli Tawa Fry is ready!! Serve it immediately. Above measurement serves one.